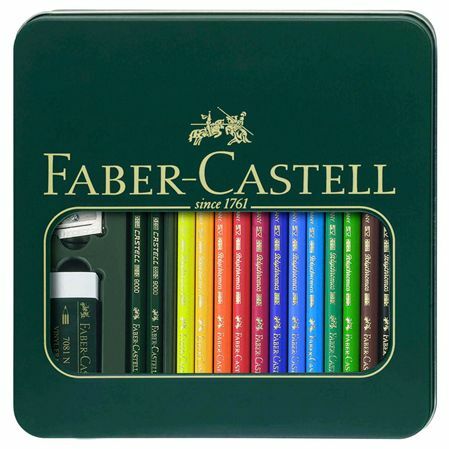 Order your Faber-Castell Polychromos Color Pencils Tin Set today from FahrneysPens.com. Fine Pens, Refills & Luxurious Gifts – great prices & fast shipping. 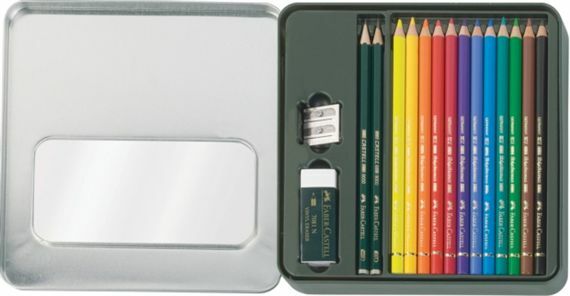 Faber-Castell's Polychromos Color Pencils Media Tin Set. includes 12 Polychromos color pencils, 2 Castell 9000 pencils in HB & 3B, a double hole sharpener and an eraser. Packaged in a reusable hinged tin with a window.